The 2012 GCE ‘A’ Level Examinations results were released today in the MPH and ISH at 2.30pm. The Class of 2012 did RI proud with its holistic excellence and stellar academic results, including a record-breaking number of 10 students who scored 9 distinctions in 13 academic units! This is the best showing in history since the introduction of the revised ‘A’ Level curriculum in 2006. In a break from tradition, Principal Mrs Lim Lai Cheng focused on students who had demonstrated all-round excellence in areas like music, sports, and leadership in her presentation. In an exclusive interview with Raffles Press, newly-appointed Deputy Principal (Curriculum) Mrs Reavley Munn Ye noted that this was the second cohort of students to receive the Raffles Diploma (RD). She added that the RD captures this spirit of celebrating “all-round achievement” and that it encouraged students to chase non-academic pursuits, beyond the A-levels. 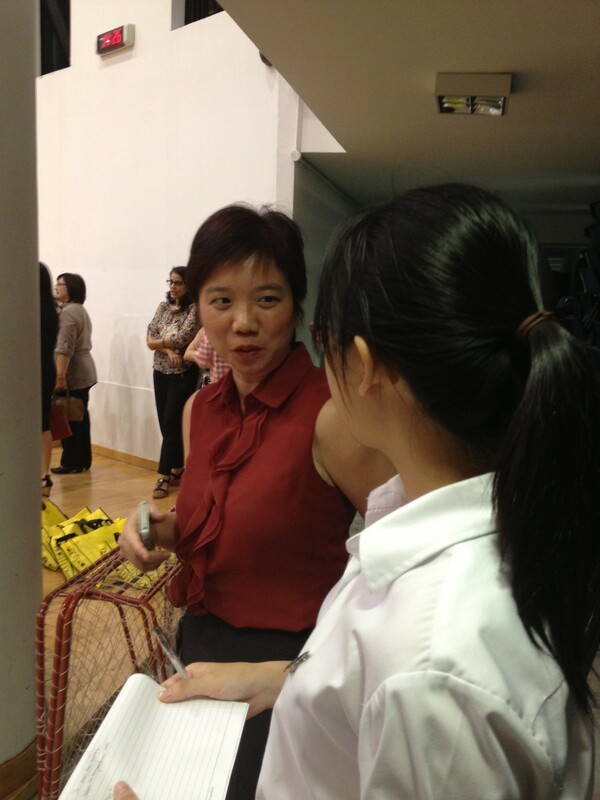 Our reporter with Deputy Principal (Curriculum) Mrs Reavley Mun Ye. The overall results saw about 97% of students score at least 3 H2 passes with a pass in GP or KI, higher than the average national pass rate of 90.6%. However, some subjects, including History and Economics, have seen a slight drop in the percentage of distinctions. The distinction rate for subjects like Physics, Chemistry and Biology has stayed fairly constant. 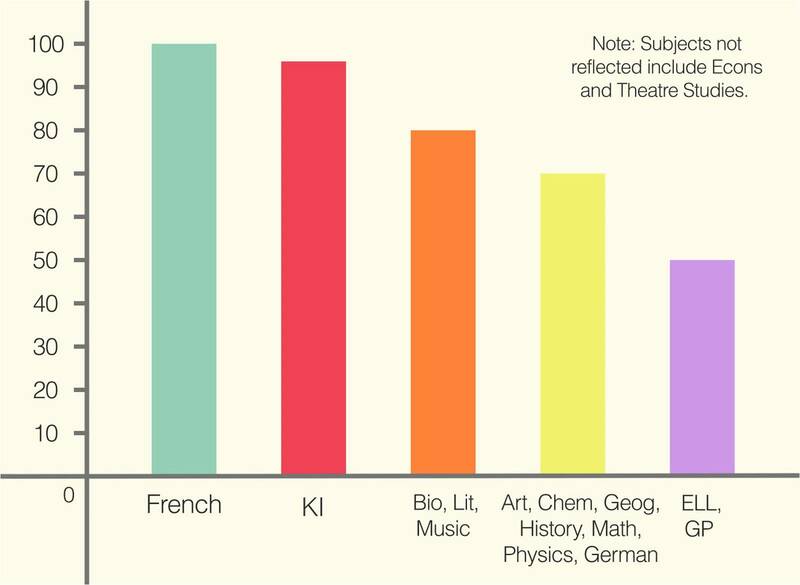 Distinction rates for each subject (rounded off). In addition, the number of students who achieved a perfect University Admission Score of 90 points decreased marginally from 27% in 2011 to 26% in 2012. 129 students achieved distinctions in all subjects offered, a drop from 155 students in 2011. But the future still looks bright for our graduates, because many of them have received early decision offers from universities as well as scholarships. 45 students have already received provisional scholarships from various agencies such as the PSC. More than a hundred students have been offered places: 53 at Cambridge University, 39 at Oxford University, and 28 at Ivy Leagues. This is ostensibly the highest number in any high school in the world. What’s the H2 econs distinction rate in RI? Hi, this was not included in Mrs Lim’s presentation.